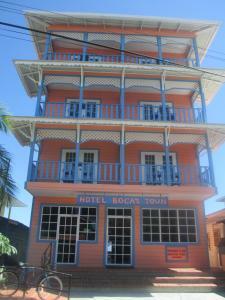 ﻿ Best Price on Hotel Bocas Town in Bocas del Toro + Reviews! 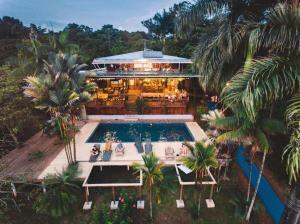 Hotel Bocas Town is located 1.2 mi from Bocas del Toro Airport and 4.3 mi from the Nature Reserve. It features a sun deck, free Wi-Fi access and free Continental breakfast. 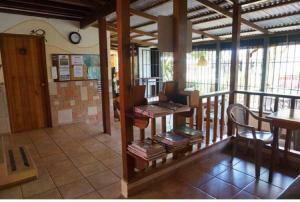 The rooms here will provide you with a flat-screen cable TV, air conditioning and an iPod dock. There is also a coffee machine. Featuring a shower, private bathrooms also come with towels. Some rooms have a sea view. The local market is 984 feet away and restaurants can be found within 1640 feet. 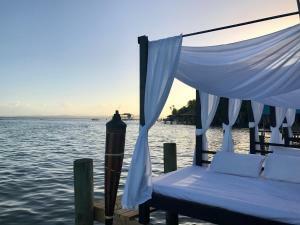 At Hotel Bocas Town you will find a sun deck water front Tiki Bar. Other facilities offered include luggage storage and a tour desk, which can arrange trips to Estrella Beach and surrounding islands by catamaran. Hotel properties is complete restaurant and waterfront Tiki Bar are open to guest and public. For Group reservations (3 rooms or more) a nonrefundable prepayment of 50% of the stay is required via bank transfer or by credit card.